We all know how the Court’s handle children in a divorce, they look at their best interests in determining their placement and custody, but did you know that the Wisconsin legislature is now considering that same standard for pets? Currently pets are treated like any other property in a divorce, valued and divided, but that trend seems to be turning around. There are groups lobbying to establish legal rights for pets in a divorce or separation. 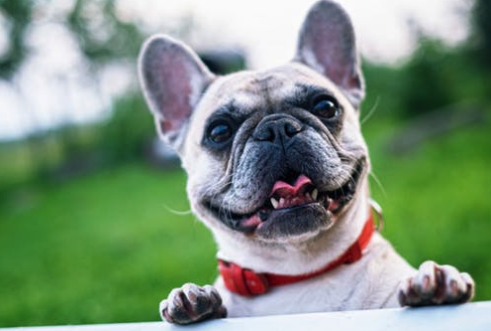 Alaska has lead the charge with establishing legislation that treats pets almost the same as children, looking to their best interests. This legislation allows the Courts to consider the living arrangements for the pets, the hours you are there to care for them, the veterinary care they will received, the size of your backyard etc. This could potentially require the Courts to establish Furry Guardian ad Litems and placement orders and weekend exchanges. Don’t get me wrong, I love all three of my dogs and no doubt this will drum up more business for my office, but is this really an issue for the Courts? I think we have a hard enough time getting onto the Judge’s calendar without creating more issues. What do you think? Fire. It’s what brought us in from the wilderness eons ago. Fire has been present throughout mankind’s history ever since. There are few things in life better than sitting around a campfire with good friends and maybe a few beers as the old stories and jokes are shared again and again. How nice is it to come in out of the cold to a warm hearth to greet you? At times, though, fire can be a devastating, destructive force. When you don’t intend it, either by accident or through carelessness, it can get out of control quickly. When a fire results in a loss of your home, you rely on your homeowner’s insurance to move swiftly to help you pay for a place to stay, repair or rebuild your home and replace your personal belongings. To ensure the swift, positive action by insurance companies, Wisconsin has some very strict laws governing the timeliness and FULL payment of verified losses due to fire and other casualties. If you or someone you know has been affected by a fire or other casualty, please do not hesitate to contact our office to review your claim and make sure you are receiving everything you are entitled to! It is quite shocking the lengths some insurers will go to in order to avoid their obligation to pay what they are contracted and legally bound to pay. 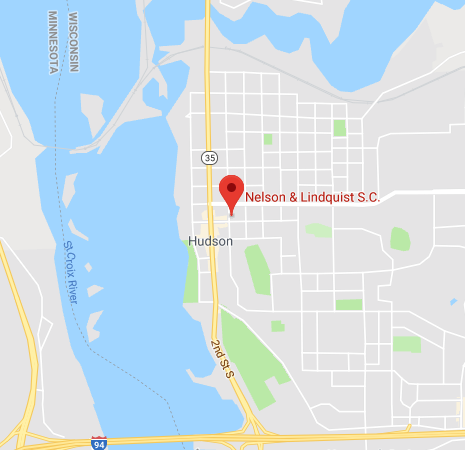 There was yet another fire near Hudson, recently. If you or someone you know needs advice on fire insurance cases, please do not hesitate to call us! It is frequently stated that Wisconsin has a law that governs almost everything. Well, the reading of a recently released court of appeals case, simply reinforces that philosophy. in City OF West Allis V. William H. MCCarver The city cited Mr. MCCarver under is newly revised municipal ordinance § 7.14(3), “Elimination of Rat Feeding Places.” The complaint alleged that McCarver had violated the ordinance by placing peanuts for squirrels and birds on his front lawn, sidewalk, and the public roadway, in areas accessible to rats, and by failing to remove the accumulated food waste. The ordinance in place at the time of McCarver’s citation stated: “No person, firm or corporation shall place or allow to accumulate, any materials that may serve as food for rats in a site accessible to rats. Any waste materials that may serve as food for rats shall be stored in rat-proof containers. Food for birds shall be placed on raised platforms or such feed shall be placed where it is not accessible to rats. Premises upon which food is provided for birds shall be cleaned at least once during each twenty-four (24) hour period to remove food material which has fallen to the ground. It shall be the responsibility of the occupant or the owner of record to see that the premises are kept free of material which could provide food for rats.” This case actually proceeded to jury trial, where a neighbor produced photos and video’s of Mr. McCarver throwing food waste (peanuts and seeds) into this front lawn to feed the birds and consequently the squirrels. On June 11, 2013, the jury determined that McCarver violated West Allis revised municipal code § 7.14(3) on nine separate occasions. On September 10, 2013, the circuit court ordered McCarver to pay a fine of $10.00 for each of the nine counts, plus court costs. This appeal then followed. I share this as an example of not only WI love for laws that govern almost anything, but also our ability to litigate even the smallest of matters to the largest extent. Principals are expensive. At some point common sense should play a role. When starting a construction project, putting in a road, establishing a driveway, building a deck, pouring a sidewalk, planning a development etc. It is always a good idea to seek the assistance of professionals who can help you get the proper permits, certifications and approvals before starting a project that you cannot finish. It is often said in the legal community, that Wisconsin has a statute for everything, no question. The Court of Appeals recently issued a decision in State of Wisconsin v. CGIP Lake Partners, LLP and Catherine deBarros, where they are requiring the defendant- respondent’s to remove a road that she had installed over a wetlands for not obtaining the proper permits. The circuit court concluded deBarros and CGIP violated WIS. STAT. § 281.36(2)(a) (2009-10). Similar to shoreland zoning ordinances, the purpose of WIS. STAT. ch. 281 is to “protect, maintain and improve the quality and management of the waters of the state[. ]” See WIS. STAT. § 281.11. To this end, both shoreland zoning ordinances and § 281.36(2)(a) require citizens to obtain permission before conducting otherwise impermissible activities that may harm the state’s waters. Additionally, as with shoreland protection, the public has a substantial interest in protecting the state’s wetlands. Because deBarros failed to get this proper certifications ahead of time and then falsified applications and statements on her need for the new road, the Court of Appeals is requiring that the case be remanded for the Court to order them to remove the new road pursuant to the DNR’s restoration plan. Again, this is a prime example of why you hire professionals to help get the proper permits, certifications and approvals before beginning any project or you may end up without a project and a healthy amount of attorney’s fees to boot. If you have any trouble finding the proper professional or addressing the proper board or governmental body, give us a call and we would be happy to help you wade through the municipal government process.